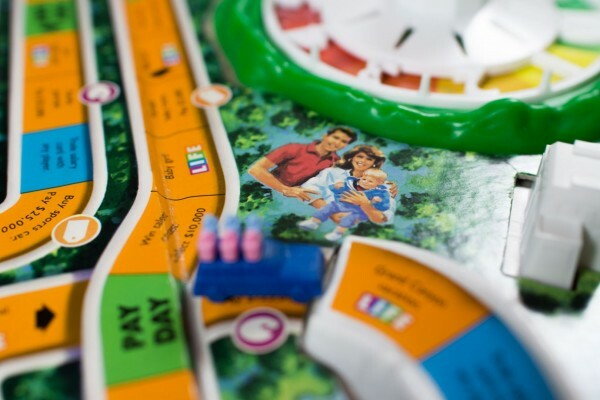 My wife, Jenny, and I recently decided to play a board game and we chose The Game of Life (albeit, the 1991 version that looks like it's from the ’80s). I could see several money, family, and business lessons we could pull from the bad advice in this classic board game. 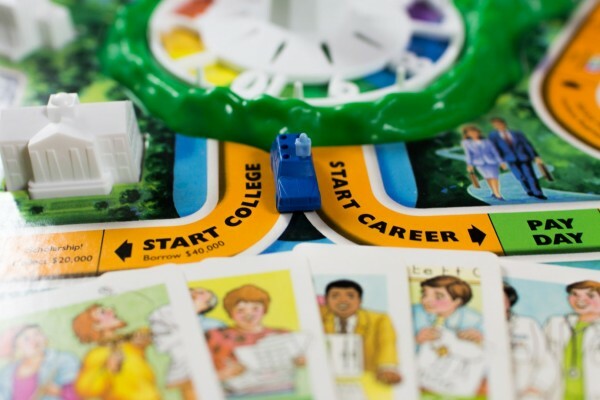 When you start playing The Game of Life, you have the choice of getting a college degree or jumping straight into your career. If you skip the degree, you have fewer career options. In our game, this meant you couldn't be a doctor, teacher, or accountant. Today, degrees are far less mandatory for success as they used to be. While many great leaders have had degrees, many others have not. While several business may say they require a particular degree, they're often more interested in knowing your real skills and ability to interact with others. This isn't to say that all degrees are rubbish. There are certainly many occupations (especially doctors and lawyers) where the knowledge and experience that come with a degree is absolutely necessary to their ability to help (or even save) someone else. 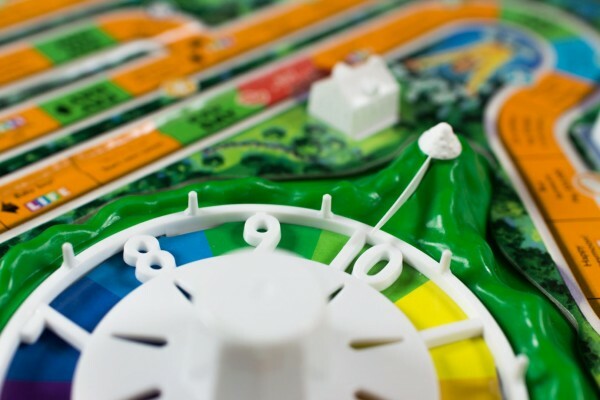 In The Game of Life, children come by chance and sometimes mean extra expenses. Each time you have a child, you earn an extra “LIFE tile,” but you can earn these just as well with any other “LIFE” space on the board. Whether you retire with no children or a van full of children makes no difference to you success in the game. Many studies will show that couples live happier, more fulfilled lives by having or adopting children. But I think the best case for this comes from the Bible. 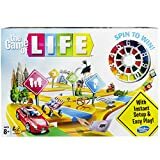 The only way to progress in The Game of Life is by spinning the wheel and moving the number of spaces the wheel randomly returns. If any player is a police office, you get punished for spinning a 10 and moving too many spaces. You land on space that deal different rewards, penalties, or changes. You can't control your destiny without interfering with the wheel's spin. Likewise, you must randomly select you home, career, stock, and even salary. … our lives are closed systems. They have a beginning, a middle, and an end. What happens between the beginning and the end is largely up to us. I say that 99% of all of our results are 100% appropriate, in that 1% are things that are actually outside of our control: an unexpected genetic defect causes the disease or deformity, market forces we had no chance of influencing diminish the value of our investments, a tornado demolishes the house we live in, etc. but despite the impression that may be given by the disaster-fascinated media, these events are definitely the minority. In other words, you have far more control over your own life and circumstances than you realize, which makes you 99% responsible for where you are. It's not just a random spin on a wheel. 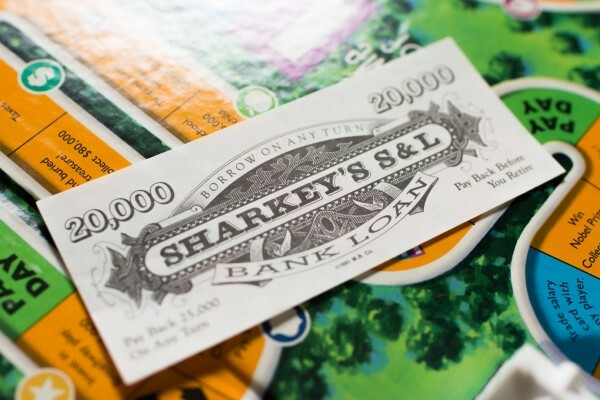 At the beginning of each turn, players may choose to borrow money from the bank—as much as they want. They only have to pay these back at the end of the game (or may pay anytime before then) at a 25% interest rate (at least in our 1991 version). There's no reward for paying off the debt early, and no consequence for holding onto it. It's treated at the only option for getting out of a tight financial position. Again, allow me to get Biblical. … the borrower is the slave of the lender. It's not hard to see how destructive debt, especially bad debt, can be to an individual, family, business, community, and even the whole nation. 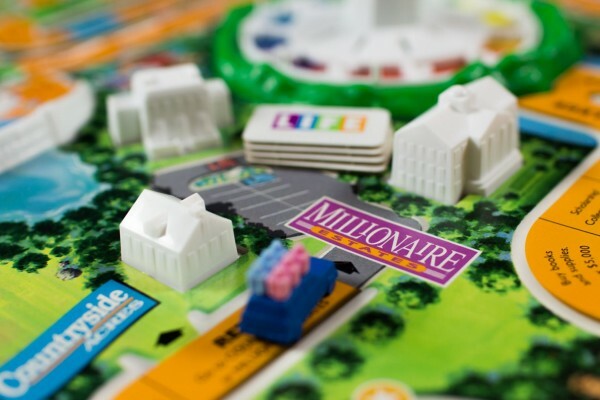 When all players have reached the end of The Game of Life, they may choose to retire in Countryside Acres and receive one more “LIFE title” bonus, or they may compete for four “LIFE tiles” by being the richest in the Millionaire Estates. After that, all players combine their cash and “LIFE titles” to find their net work. The player with the most money wins. This doesn't factor in the value of your house, stocks, or insurance policies. It also gives no special reward for having or not having a family. Where are the goals? The Game of Life defines success by a mere dollar figure and nothing else. “Success” is entirely how you define it. If you want a job that provides enough so you can leave work at the office and enjoy your family, and you get that, then you are a total success! You may not have the millions of dollars, fancy cars, or latest gadgets. But those don't define you and your success. If we ever play The Game of Life again, especially if it is with my own children, we'll be changing some rules. You may choose any career you want, without debt or degree. You'll experience more bonuses in life if you have or adopt children. You have a set number of turns, and you may move as fast or as quickly as you wish. You will never be forced to buy anything, and debt is not an option. If you borrow, it will have consequences with each turn. You must start the game with measurable goals. You win if you reach all or most of these. 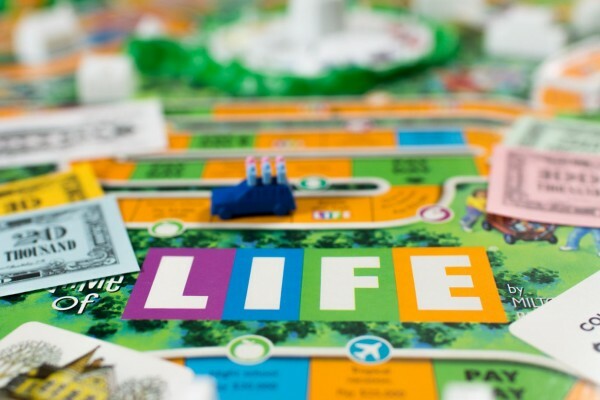 What would you change about The Game of Life? Maybe we should talk about Monopoly next.